Are you interested in practicing shamanism? Do you live in the Portland, OR area? Join me for an informational meeting about a new, ongoing series of shamanism training classes. Based on her own practice, Therioshamanism, these classes will be designed to accommodate beginners as well as those with varying levels of experience. This informational meeting is a chance to get an idea of my approach to shamanic practice and to help attendees find a good fit for themselves, as well as offer input and ideas for these ever-evolving monthly classes. 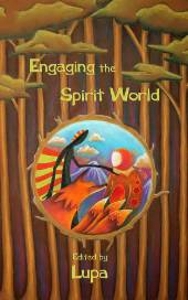 In addition to practical shamanic techniques such as identifying and working with spirits, drumming and other vehicles for journeying, healing and other sacred work, these classes will cover related topics, such as the place of shamanism in non-indigenous American culture, the issue of cultural appropriation, bioregionalism and ecospirituality, and other relevant material in our ongoing work. Participants will also be invited to share what they’d like to know more about as we work together over time. The informational meeting will be held Saturday, May 19th, from 11am to 12pm at Quaking Grass, 5010 NE 9th, Unit B (take the stairs on the north/back side of the building, whose front is on Alberta) in Portland, OR. Suggested contribution for this meeting is $5 per person, no one turned away for lack of funds. Keep your eyes peeled for other events coming soon, including totemic drum and dance circles, and standalone workshops on topics like totemism, sacred work with animal parts, eco-spiritual art, and more! I have been practicing various pagan and ecospiritual paths for fifteen years; I have been developing Therioshamanism as a dedicated path since 2007. I am a published author and sacred artist, and earned my Master’s degree in counseling psychology in 2011.